This listing is for a single card only. A brown kraft envelope is included. 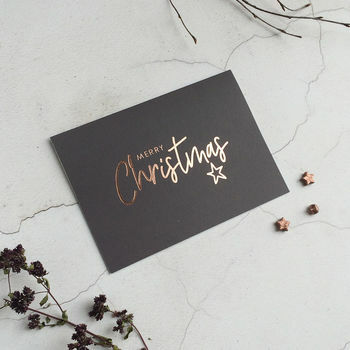 The 'Season's Greetings' design is gold foil and is hand stamped by PaperGrace in our studio using hot foil printing techniques. 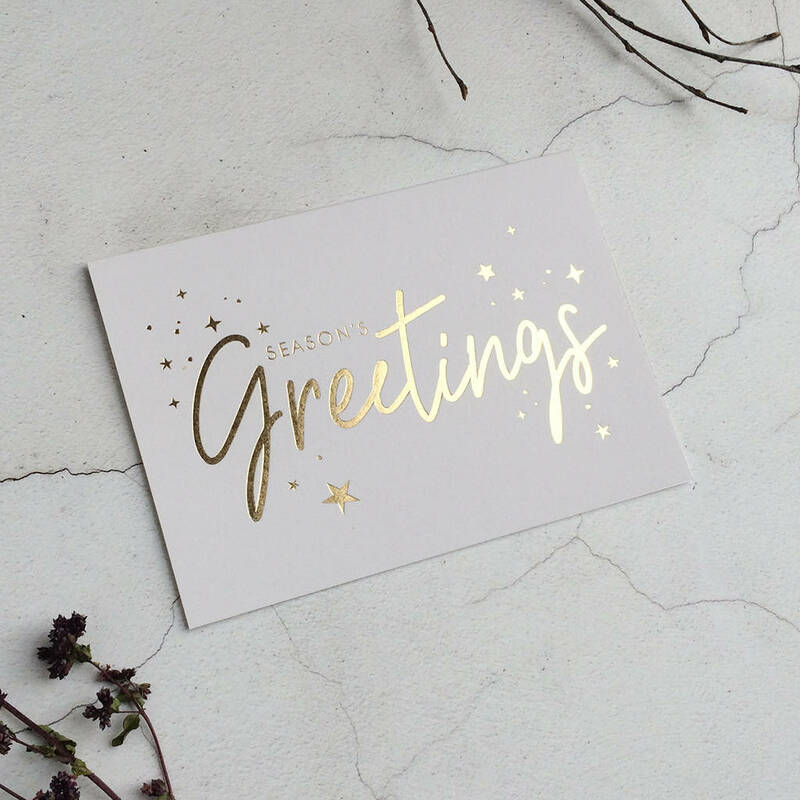 Card left blank inside for your own message. All materials are FSC certified. This listing is for a single card only. Please choose from one of the 3 designs availiable (Dark grey - Merry Christmas, Mid grey - Christmas Wishes, Off white - Season's Greetings). 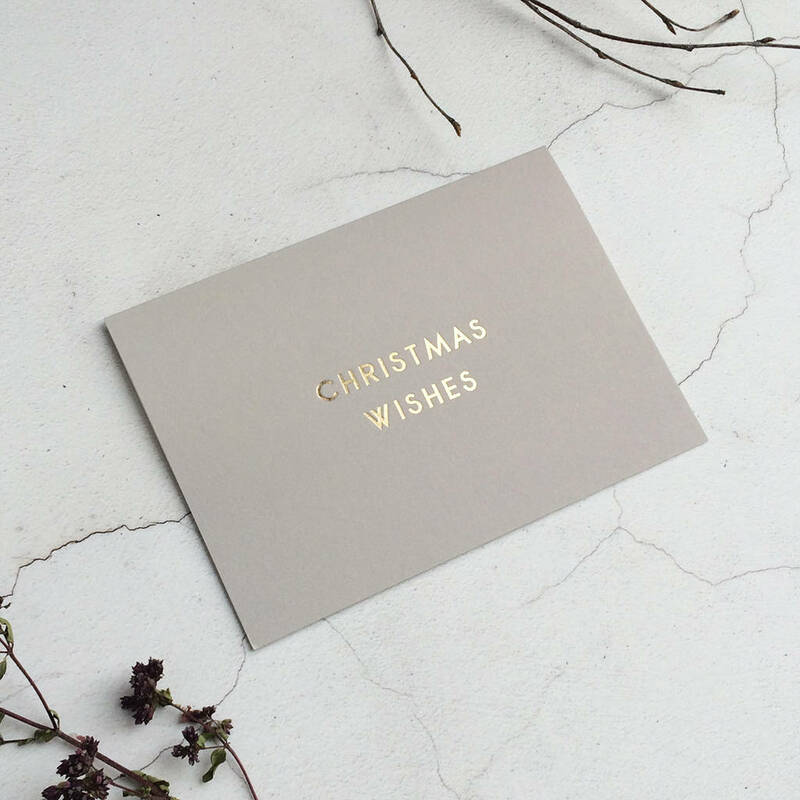 The 'Christmas Wishes' and 'Season's Greeting's' designs are stamped with gold foil and the 'Merry Christmas' design is blush gold foil. All 3 designs can be purchased as a pack of 6, where the unit price is lower. Please see related products. 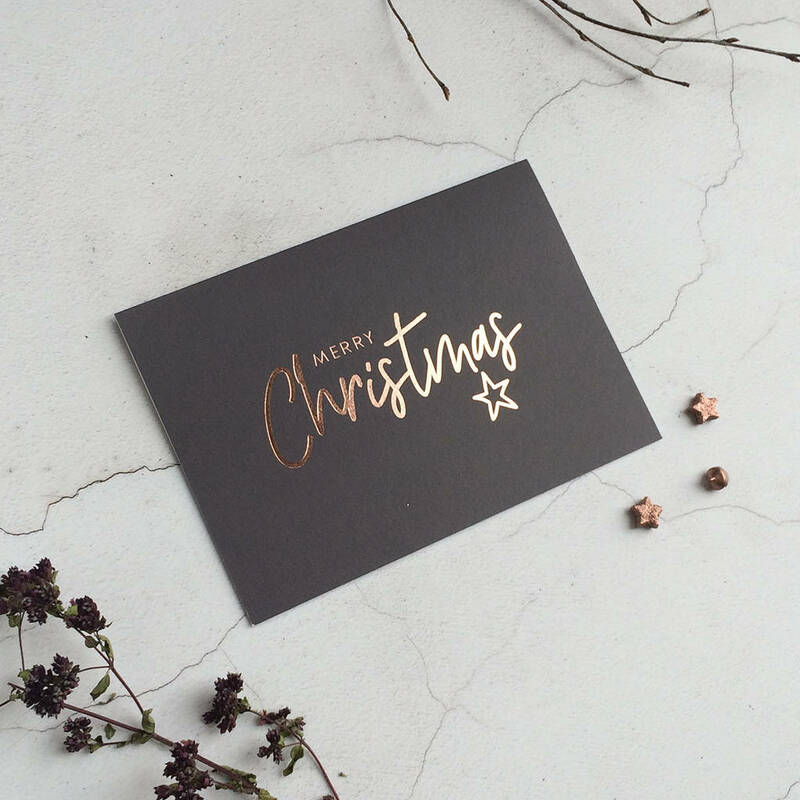 Each card is hand stamped by PaperGrace in our studio using hot foil printing techniques.